Sign-up using the form or call us at 517-339-3737 to make your appointment today! 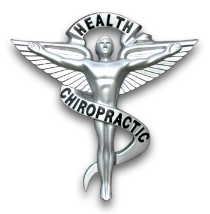 We have been providing chiropractic care, trigger point and deep tissue muscle therapy, and instruction in rehabilitative exercise for patients in Haslett, Okemos, and Lansing's eastern suburbs for over 25 years. Our on site radiographic suite allows for timely processing and analysis of full spine x-rays, and our office staff handles all your paperwork and insurance to make your visit hassle-free. Enjoy checking out the site at your leisure, or call us anytime at (517) 339-3737. We look forward to hearing from you. Thanks! "God bless you for the treatments. My husband is like a new man to me. After all the other doctors, the expression on his face was different after the second treatment"